Jehovah’s Witnesses are rather proud of their version of the bible. Their translation of the bible is known as The New World Translation of the Holy Scriptures. They use it constantly in their preaching work, but is it more superior to other bible translations? Is it more accurate? Is it clearer and easier to understand? Let’s do a comparison between what JW.org says about their bible and what AvoidJW.org says. Jehovah’s Witnesses have used many different translations in their study of the Bible. In languages where it is available, though, we especially appreciate the New World Translation of the Holy Scriptures for its use of God’s name, for its accuracy, and for its clarity. Use of God’s name. Some Bible publishers have failed to give credit where credit is due. For example, one Bible translation lists the names of over 70 people who in some way contributed to its production. Yet, this same Bible omits the name of the Author—Jehovah God—altogether! In contrast, the New World Translation restores the divine name in the thousands of places where it existed in the original text, while the committee that produced the translation remains anonymous. In addition to its use of God’s name, accuracy, and clarity, the New World Translation has another distinction: It is distributed without charge. As a result, millions are able to read the Bible in their mother tongue—even those who otherwise could not afford to own a Bible. 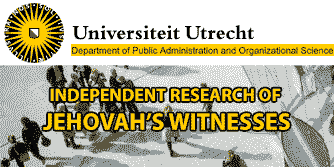 Excluding the New World Translation of the Holy Scriptures (NWT), Jehovah’s Witnesses do not indicate which translations they have used in their study of the bible. The reality is that Jehovah’s Witnesses rarely use other bible’s to study the bible. 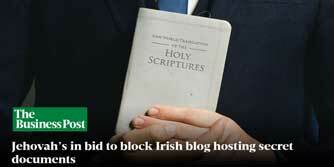 If they do, it’s only to refer to a few scriptures that are in complete harmony with their own bible. Use of God’s name. To say that “Some Bible publishers have failed to give credit where credit is due” is a fallacy. ALL bible publishers give credit to God for the Bible. Even if they list the names of those who may have in some way contributed to its production, that does not mean that they have not given credit to God. 2 Timothy 3:16, 17 is found in ALL New Testament bibles. Putting “Jehovah” into the bible at locations where the Tetragrammaton was found does not make the NWT a superior bible. In fact, the NWT inserts “Jehovah” in locations in the bible where the tetragrammaton was never found. No one knows for sure how to pronounce the tetragrammaton. Jehovah is just one version of how it may be pronounced. Accuracy. Jw.org are criticizing the Good News Translation when quoting Matthew 7:13. Their criticism of how ONE bible translates ONE verse does not provide us any assurance that their bible is more accurate. See AvoidJW.org‘s article Inserting “Apostasy” into Isaiah for some criticism of the NWT’s accuracy. Clarity. Many translations of the bible are clear and easy to understand. One only has to go to BibleGateway.com to find such bibles. The NWT was not always offered without charge. As recent as 1987, they were selling their bibles for as much as $40.00. The only reason that the Watchtower Society phased out sales of their literature is because the US Supreme Court made the sale of religious literature taxable. On the other hand, The Gideons International has provided bibles free of charge since 1908. Jehovah’s Witnesses might have their own bible but it’s not altogether accurate, “Jehovah” is inserted more often than it is found in ancient manuscripts, it’s no more clear than many other bibles, and its distribution as being free of charge is a recent phenomenon.